The Global Gateway Initiative is a partnership between International Academic Programs (IAP), the Office of Student Financial Aid, and the Institute for Regional and International Studies, at the University of Wisconsin-Madison to increase access to study abroad. Study abroad provides opportunities for students to advance their academic studies while developing global skills that will help them to stand out to potential employers, including increasing students’ confidence and expanding their worldview. However, UW students state that cost is the number one barrier to study abroad participation. The Global Gateway Initiative makes invaluable experiences accessible to students who otherwise might not be able to study abroad while at UW-Madison in two ways: Summer programs and Fellowships. Global competency and experience is necessary to succeed in today’s world. Global learning continues throughout a student’s career at UW-Madison, both on campus and away. Financial barriers should not prevent access to these opportunities. Full-time, matriculated UW–Madison undergraduate student. Good academic and disciplinary standing. FAFSA submitted; EFC $12,000 or lower preferred for summer programs, required for the UW Global Gateway Fellowship. UW Global Gateway Summer Program participation is limited to students who have completed one or two years of study at UW-Madison. UW Global Gateway Fellowship recipients must be planning to return to UW-Madison for at least one semester following their program participation. Students who have previously participated on a UW Global Gateway Program or received a UW Global Gateway Fellowship are not eligible to be receive a second UW Global Gateway award. The UW Global Gateway Summer Programs are highly-structured, thematic four-week study abroad programs specially designed to introduce first and second year students from diverse backgrounds and academic fields to international and global issues. Each program provides a full scholarship, including airfare, for 15 students with demonstrated financial need (preference give to students with EFC under $12,000) to study in non-traditional locations. On these programs, a UW-Madison faculty member will direct a group of Badgers to a different location around the globe to introduce students to issues of global importance and prepare students for success in an increasingly interconnected world. These programs use the host country as a classroom and are experiential and interdisciplinary. Locations, themes, courses, and faculty will vary from program to program to attract as broad a range of students as possible. Students will earn 5 in-residence credits upon completion of their program. Previous programs have run in Shanghai, China (2014, 2015) and Rio de Janeiro, Brazil (2016, 2017, 2018), with programs running in India and Botswana during summer 2019. Information on past programs and student experiences can be found our student voices tab. 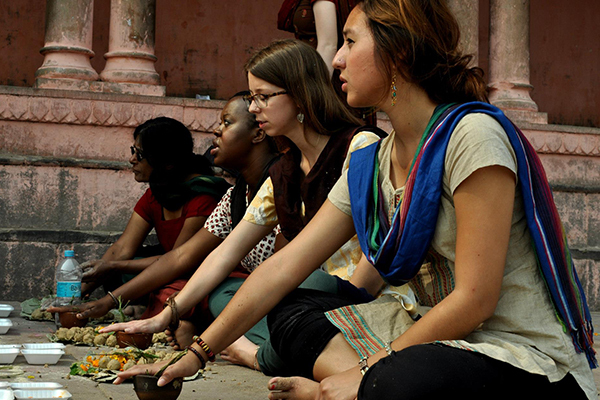 Discover religious and political pluralism while studying in India’s capital of Delhi. 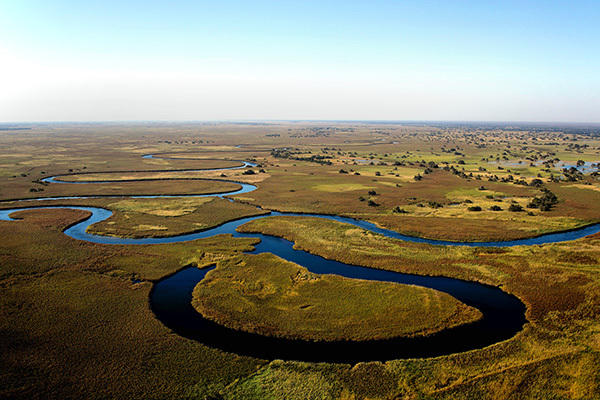 Explore culture, education, public health and environmental issues within contemporary Botswana. The UW Global Gateway Fellowships are designed to provide students the access to the UW-Madison approved semester or year-long study abroad program of their choice, as well as the one semester-long domestic study away program, UW Wisconsin in Washington, DC Internship Program, which best meets their academic and professional goals. Each participant will receive a $10,000 fellowship towards their program costs. Support the Wisconsin Idea by helping students bring their experiences back to campus and the greater Wisconsin community, including the international student community. Maximize students connection to international activity on campus and to integrate their experience abroad with their academic careers at UW-Madison and their professional development. Attend a program specific pre-departure orientation. Attend a UW Global Gateway Initiative pre-departure dinner with return students, faculty and staff. Contribute to the program blog, to help reflect on your experience and to explore issues of global importance from a comparative lens. Produce optional digital media that illustrates the student experience while on the program, including but not limited to video blogs, photography, or social media posts which could be featured on the study abroad website or social channels. Submit a narrative of your program experience. Participate in one K-12 related outreach activity (on-campus, around the Madison community, or in your hometown). Attend a UW Global Gateway outreach event with students, faculty and staff. Pursue opportunities for student positions in international-related offices on campus, and the Bridge Mentor Program, as well as activities, events, and courses offered by the Area Studies Centers. Read about current & past students’ adventures. Review the information for Prospective Students. Review specific Academic Planning information. Visit the UW Global Gateway Summer Program web pages and choose the program that best fits your academic, personal, and professional goals. NOTE: Students may only apply for one UW Global Gateway Summer Program per term. Participation is limited to students who have only completed one or two years of study at UW-Madison. Follow the steps to apply through the specific UW Global Gateway Summer Program page. Apply for a semester or year-long study abroad program listed on the Study Abroad Program Search. NOTE: Recipients must be planning to return to UW-Madison for at least one semester following their program participation.